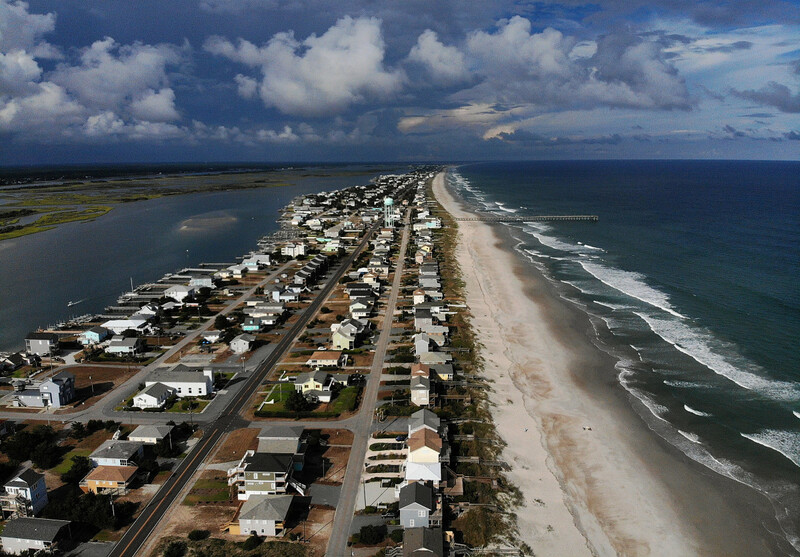 A mandatory evacuation is in effect Topsail Beach, North Carolina, as residents prepare for Hurricane Florence on September 11th, 2018. As Hurricane Florence hurtles toward the East Coast, residents are gearing up to face floods, mudslides, and winds of up to 130 miles per hour. 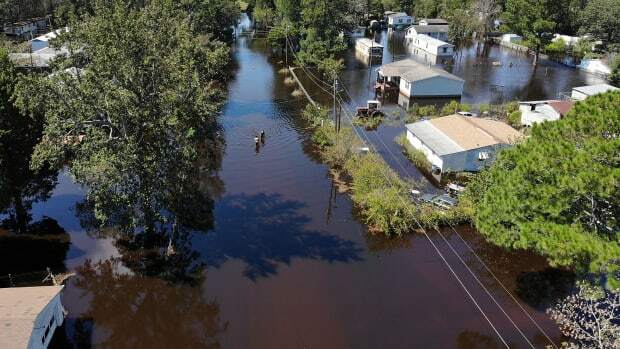 Forecasters expect the storm, a Category 4 as of Tuesday, to stall over North and South Carolina, creating "life-threatening, catastrophic flash flooding and significant river flooding" across the Carolinas and Mid-Atlantic states, the National Weather Service announced. The storm is expected to make landfall Friday. More than a million people have already evacuated, but some may not be able to escape the storm&apos;s larger impact. Its path includes communities in North Carolina that lack the resources to prepare, rebuild, or, in some cases, even evacuate. 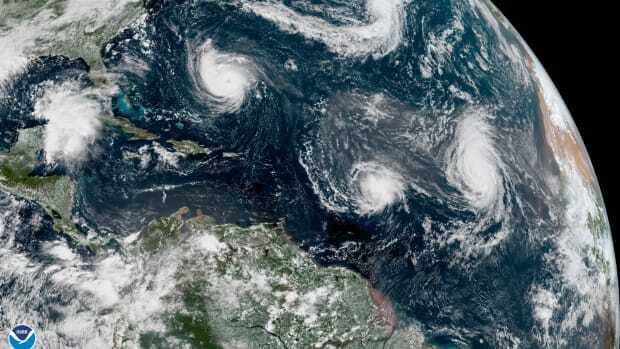 According to the Charlottesville Observer, Florence is headed toward several nuclear power plants, industrial waste disposal pits, and, in the east, hog farms where animal waste is stored in "massive open-air lagoons." Greg Jenkins, professor of meteorology at Pennsylvania State University, said structures like these may not survive a massive storm, making them a serious risk to nearby communities. 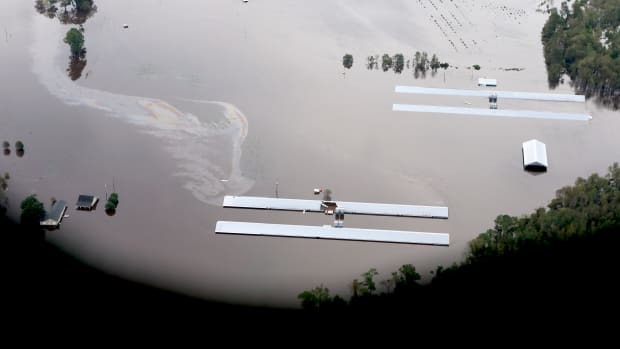 If the lagoons flood the state&apos;s eastern counties, inundating fields and waterways with waste, spillover could contaminate water for drinking and farming, Bloomberg reports. Already, the area&apos;s primarily low-income, African-American residents have experienced harmful health effects from the industry&apos;s air pollution, North Carolina&apos;s Indy Week found. Now, as the storm intensifies, experts predict the state&apos;s most vulnerable residents could experience Florence&apos;s effects for years to come; as research on previous hurricanes shows, disasters often exacerbate existing racial and economic disparities, leaving a trail of destruction that&apos;s not always immediately visible. "People&apos;s ability to rebuild is dependent on them having resources," Jenkins says. "There are people who don&apos;t have jobs or who are underemployed. They can&apos;t afford a disaster. They might not even be able to afford a proper evacuation." Disasters have been found to disproportionately affect low-income people and people of color. This inequity includes everything from vast environmental impacts to individual income. For example, research shows that hazards such as hurricanes increase food insecurity along racial and ethnic lines; one 2011 study found that people living in African-American neighborhoods in New Orleans, who already lacked access to supermarkets, found it increasingly difficult to buy food in the aftermath of Hurricane Katrina. Once they survive the storm, these communities also face lackluster disaster response. 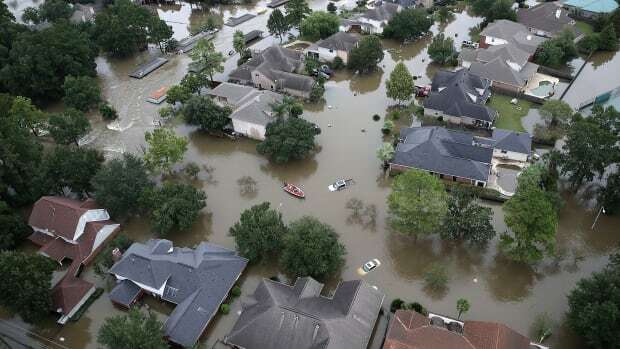 One study details how white people in counties with extensive damage from natural disasters benefit financially from Federal Emergency Management Agency aid, while black, Latino, and Asian people do not. In 2017, another study found that environmental and economic recovery efforts after Hurricane Katrina, such as landscaping and rebuilding, did not benefit historically marginalized communities. 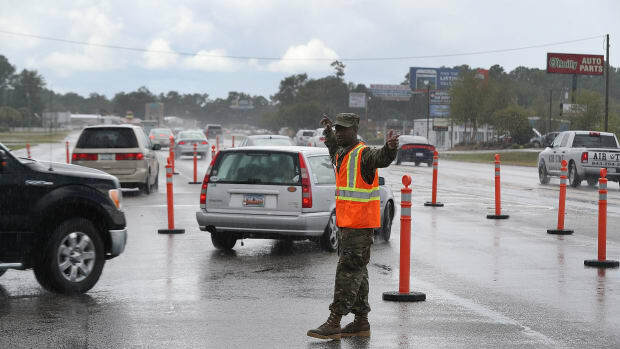 After Katrina, scholars contended that racism influenced government decision-making that "magnified the death, destruction, and misery the storm produced." In Puerto Rico, where President Donald Trump notoriously belittled Hurricane Maria&apos;s impact, a Politico investigation found FEMA neglected to provide adequate aid to the island, compared to their response to Hurricane Harvey in Texas. With Florence, Jenkins fears a similar outcome. Jenkins has been studying storms&apos; impacts on the West African coast, where residents also lack access to information and resources needed for basic preparation. "In general, it doesn&apos;t matter if you&apos;re in North Carolina or in Africa," Jenkins says. "When you have people who are in underserved communities and lack resources, it&apos;s hard for them to be resilient." Many of Jenkins&apos; relatives live in North Carolina, where they&apos;ve weathered several hurricanes—but few as strong as this one. A few are elderly; some are living in trailers that cannot stand up to a Category 4 storm. 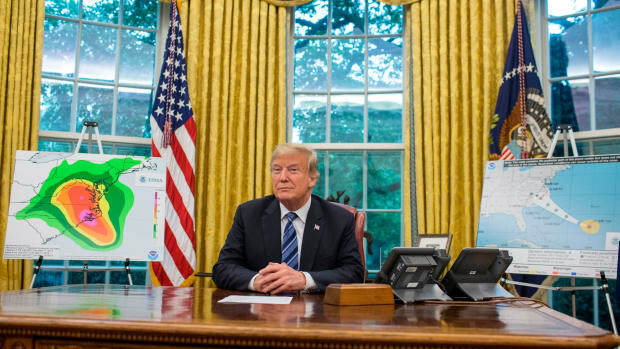 This week, he warned them to pick up prescriptions, pack their belongings, and head to local shelters—in other words, to prepare for the worst.